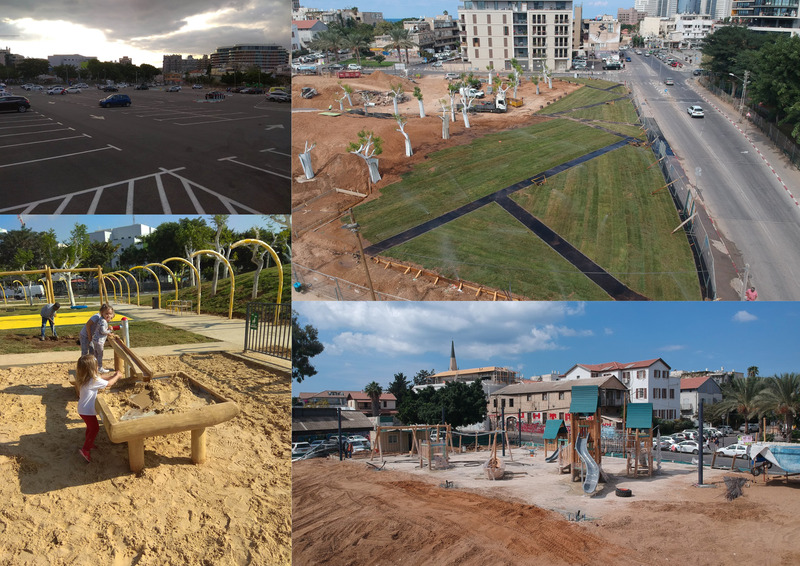 Young children in Tel Aviv have a new play area, incorporated into a former parking lot which the city muncipality has transformed into a community space featuring greenery and trees. Yoav Ben Yehuda, Director of Parks and Gardens in Tel Aviv-Yafo municipal government, is among the city leaders who has become a champion for the Urban95 programme. He took part in a study visit to Copenhagen which showcased, among other things, the use of sand and water in play areas to help child development. The play area is designed by Derman Verbakel Architecture. Read more about the Urban95 programme in Tel Aviv here.